Radio script writers working in the 1950's loved the author, Ray Bradbury. His stories seemed perfectly suited to dramatization. 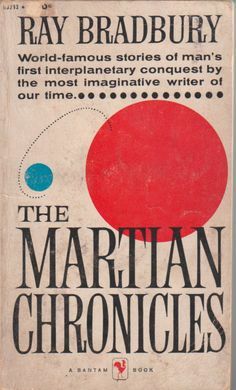 I recently read through The Martian Chronicles for the fourth or fifth time and I had some thoughts on what would be the best approximation of the book, in terms of a playlist of vintage radio drama, and on how one should read the book itself. I left the reading notes to the end, so you can ignore them if you want. This playlist uses the Dimension X lineup of the stories. The trick is that the actual episode titled The Martian Chronicles is used for the front and back of the playlist, so pay attention to the notes at the end of the links! I dropped the section of that episode from 11:25 to 17:10, because it is a shortened version of —And the Moon Be Still as Bright, which, as you can see, is dramatized as a full program. 19500818(020)_DIMX_TheMartianChronicles.mp3 - stop at 11:25. 19500818(020)_DIMX_TheMartianChronicles.mp3 - start at 17:10, or 16:10 (if you want the Wheaties Week commercials). First, buy an old copy of the book. If the timeline in the TOC starts with 2029, you've got a newer one. It's not a big deal, but I don't like that the publishers have monkeyed with it. Second, you don't need to read every story. The stories are so good! But, I think The Martian Chronicles, as a book, was a mistake. The vignettes that are supposed to tie the stories together really cause confusion, as if Bradbury is telling you all of this is happening in the same universe. It isn't. You should read the stories as if each were happening in a slightly different dimension from the last. When viewed as a continuity there are discordant notes, but when taken as a collection of thematically-related stories the book is brilliant. 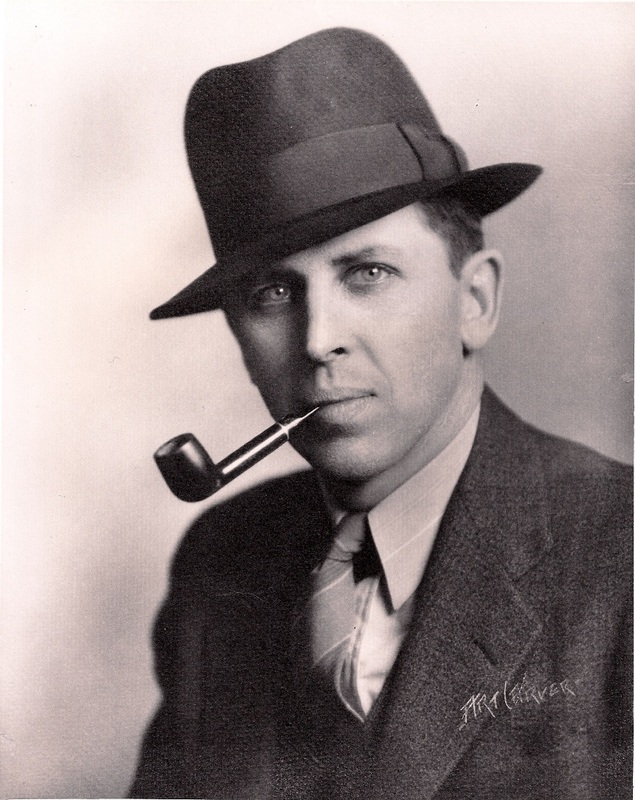 This is no surprise as many of the chapters were written separately and published in pulp magazines in a radically different order than they appear in the book. The added vignettes are well-written, so they are seductive; you want them to belong, to have a home, but they really don't add anything except a kind of literary padding and false glue. I think that focusing on the core stories and taking out this glue, ironically, will make it a better book. Part II: Mars is Ours? If you read/re-read it this way, I'd love to hear about it! By the way, I know there are other good stories in the book! But honestly, they don't add much and some of them don't have anything to do with the story of Mars ("Usher II" for instance, seems repurposed to fit the book). I think the pattern above will be a more condensed, coherent, and potent reading experience. A man’s dream world threatens to take over his absurd and unpredictable everyday reality. You can see this one coming, but it's still good. There's a kind of topical relationship between this and Sheckley's Dimension of Miracles, a brilliant book in which the main character experiences alternate Earths. 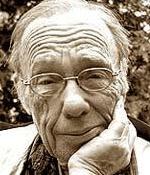 WHA Madison, Wisconsin, Michael Hanson (host), Robert Sheckley (author). A blend of stories from The Martian Chronicles, including pieces of Rocket Summer, Ylla, And the Moon Be Still as Bright, There Will Come Soft Rains, Off Season, and The Million Year Picnic. Where the dramatization hews closely to the original tales, e.g. Ylla, it is pretty good. Otherwise it doesn't hold together quite as well. But the last half of the show is an admirable attempt blend multiple stories nonetheless. FYI, there are full-length adaptations of And the Moon Be Still as Bright and There will Come Soft Rains in Dimension X episodes 26 and 11, respectively. Also, Dimension X did versions of The Third Expedition (Mars is Heaven) and The Long Years (Dwellers in Silence). Author: Ray Bradbury. Voices: Donald Buka, Inge Adams, Roger De Koven (doubles), David Anderson, Ian Martin, Jan Miner. Summary: Vignettes about the colonization of Mars. This third expedition to Mars finds the Martian cities deserted and the Martians dead from exposure to Chicken Pox. (Funny how in these tales Earthmen never get any Martian diseases and die out!) One spaceman is disgusted by his alcohol-loving, window-smashing crewmates, and he appoints himself the sole defender of the artifacts of the dead race. Albert Buhrman (music), Alexander Scourby, Bill Chambers (engineer), Bob Warren (announcer), Edward King (director), Ernest Kinoy (adaptor), Norman Rose (host), Ray Bradbury (author), Wendell Holmes, Van Woodward (producer), Dan Ocko, John McGovern, Joseph Julian, Arthur Gary (announcer). This haunting story about an ancient and seemingly unending hall filled with mysterious machines has echoes of Borges and Arkady and Boris Strugatsky's Roadside Picnic. This one is cool, but it's not for everyone. Some machines are more interesting than others. A few I feel like I have seen in real life, others are just downright disturbing! The story was first published in The Eye of the Lens (1972). WHA Madison, Wisconsin, Michael Hanson (host), Langdon Jones (writer). 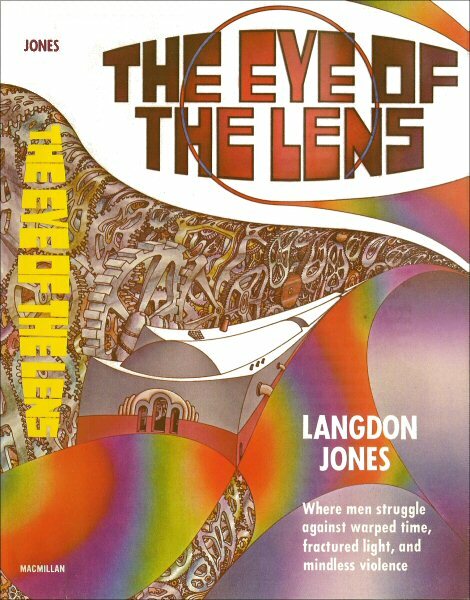 The Eye of the Lens (1972). In the late summer of '96 a lunar expedition exploring the great walled plain of the Mare Crisium detours to investigate a metallic glitter high on the ridge of an unclimbed peak. This story, originally published in 1951 in 10 Story Fantasy, was the partial basis for the 1968 film and novel 2001: A Space Odyssey. This was an interesting story that unfolds slowly to a fairly dramatic conclusion, but it is in many ways upstaged by the early chapters of 2001. 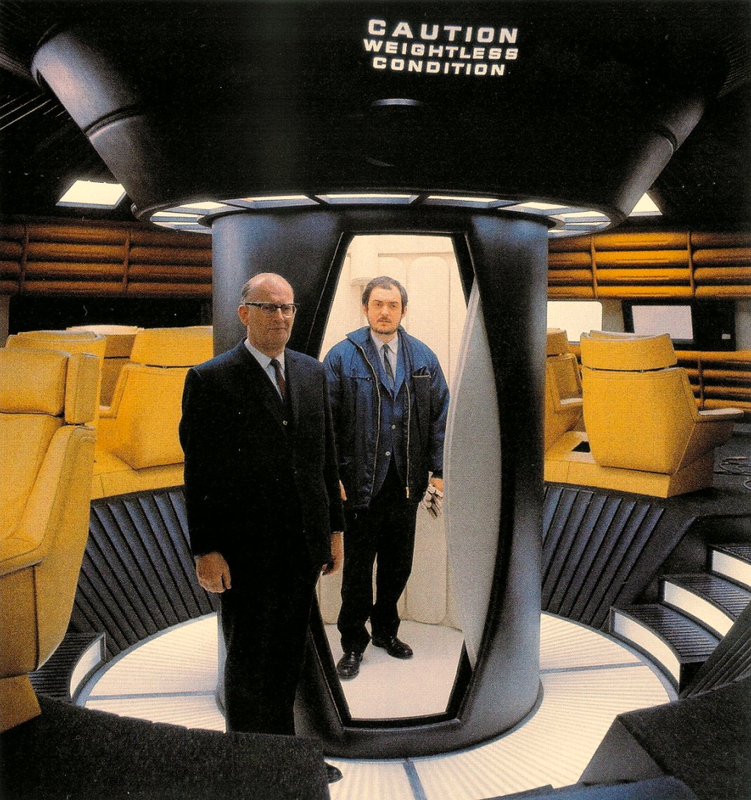 WHA Madison, Wisconsin, Michael Hanson (host), Arthur C. Clarke (writer). Four men have been transformed into native Jovian life forms and sent from the protective dome to explore the surface of Jupiter. None have returned. As I started listening to this one I remembered reading it in some collection decades ago. It's a cool little story. At first I was annoyed at the title, which seems to give something away. Also, the scientific ideas relative to the transformation are really shaky and hand-waived. Even so, the story pays off with a rich texture and interesting idea. WHA Madison, Wisconsin, Michael Hanson (host), Clifford Simak (author).